For the clients who run retail business, it is imperative to keep track record of business affairs in a very managed way. Proper monitoring is necessary to identify all inventory stocks, their availability, orders, expenses and revenues. For efficient inventory management software development, we first understand the business nature of the client and his actual requirement. Balancing business loss due to inadequate stock and the money incurred by retaining extra stock. The inventory management software development must be done in a perfect way to cater to all delivery needs in a timely manner and to improve the turnover. For successful management of inventory system, just-in-time method of manufacturing will help to decrease the expense needed to keep the excess stock or delays caused by the products being out of stock. Economic Order Quantity (EOQ) helps to minimise the total costs for inventory transportation and the acquisition costs. Enough flexibility to cater to particular needs. Decrease of wastage and carrying costs. Items at hand, whenever necessary. Linking inventory items with assets in core register. Developed depending on the needs of the business size. 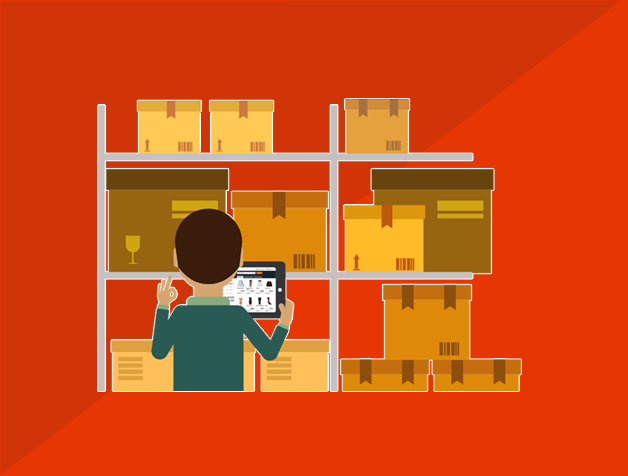 Since inventory management is complicated and often complex, we develop the most relevant inventory management software to meet the particular needs of the businesses running all across the world.